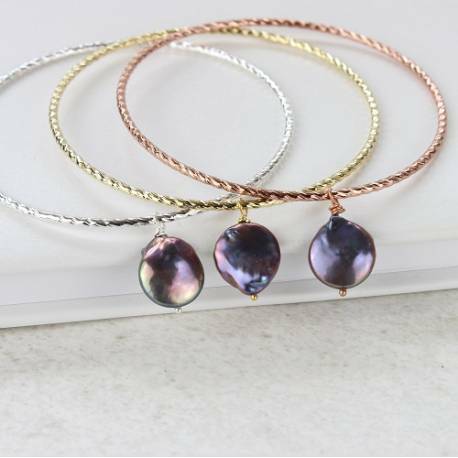 Gorgeous twisted metal bangle in silver, gold or rose gold finished with a beautiful freshwater pearl charm in many colours and shapes. Perfect for stacking and mix and matching. 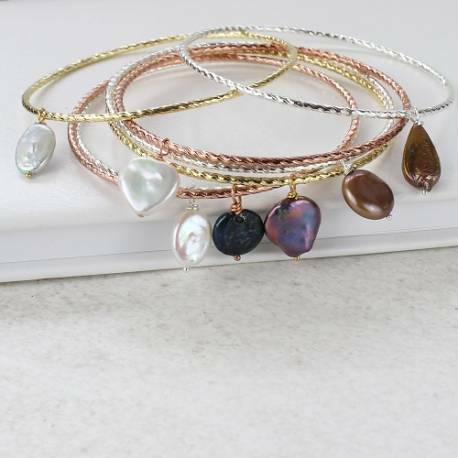 Gorgeous twisted metal bangles available in silver, gold or rose gold coloured steel finished with a beautiful freshwater pearl charm. Perfect for stacking and mix and matching. 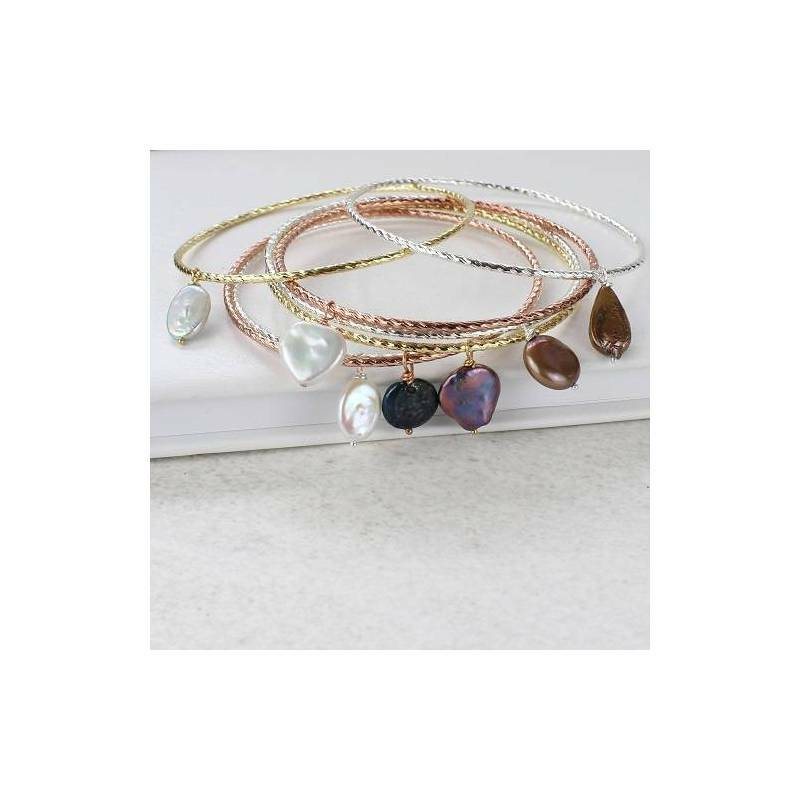 Not too flashy, these bangle appeal to women and girls of all ages. The bangles have a twisted rope design. Your bangle will be beautifully gift wrapped in a matt black box, tied with ivory satin ribbon and a gift card enclosed. This standard service is completely free of charge. So they are ready to give as a gift or to keep as a little pressie to yourself.